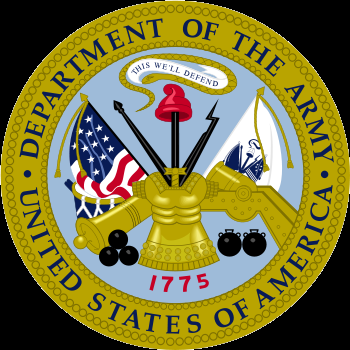 Develop all Ordnance AC/RC individual training products, except as noted previously, in support of the Chief of OD, Ordnance School (ODS) and field units. The Chief, Ordnance Training division, leads our 104-member division, which is composed of three branches that support the Ordnance career management fields: Ground Maintenance; Electronic Maintenance, and Missle Maintenance and Munitions; and Officer Leader Development Branch. This support is provided at all levels of training for Ordnance AIT, NCOES, Warrant Officer and Officers. Ground Maintenance Branch develops training materials and products used to train Soldiers on repair and maintenance of primary weapon systems to include the M1 Series Abrams Tank, the M2 Bradley Fighting Vehicle, and artillery systems. 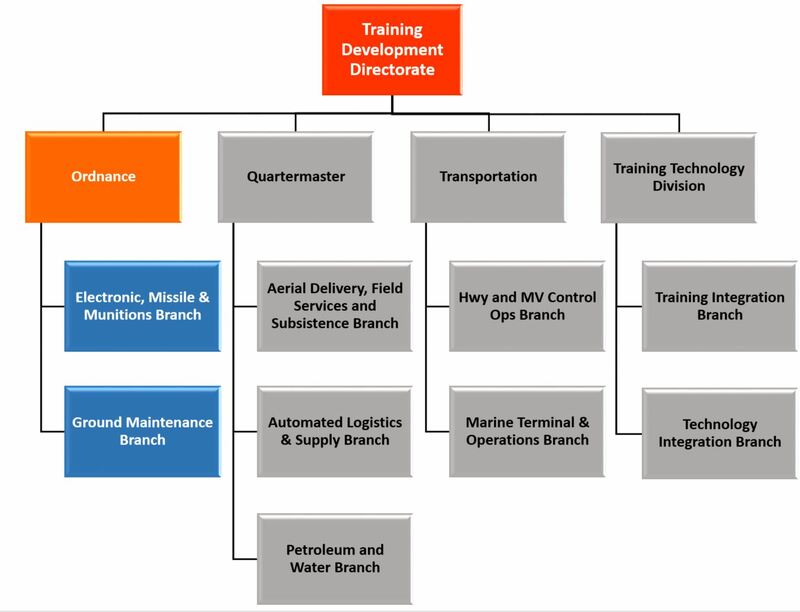 Additionally, the branch develops training materials designed to prepare Soldiers to maintain and repair light and heavy wheeled vehicles, tracked vehicles, armament and fire control systems, utilities, quartermanster and chemical equipment, power generation equipment, conduct metalworking and machinist functions, as well as recovery operations of tracked and wheeled vehicles. Electronic and Missile Maintenance and Munitions Branch analyzes, designs and develops training materials for 14 enlisted MOSs, which include repairers of the Multiple Launch Rocket System (MLRS), Avenger Weapon System, Patriot Missile System, Land Combat Electronic Missile System, Radar systems, Test, Measurement, and Diagnostic Equipment (TMDE), Integrated Family of Test Equipment (IFTE), and Technicians, Air Traffic Control Equipment, Radio/COMSEC Equipment, Computer/Detection Systems, Avionic Communication Equipment, Avionics and Survivability Equipment, as well as training for products to support Ammunition Specialists, and Ammunition Stock Control & Accounting Specialist.